The Akademie für Alte Musik Berlin (Akamus) was founded in 1982 in Berlin. Since its beginnings, it has become one of the world‘s leading chamber orchestras on period instruments and can look back on an unprecedented history of success. From New York to Tokyo, London or Buenos Aires, Akamus is a welcome guest, appearing regularly at the most important venues throughout Europe and internationally, touring as far afield as the USA and Asia. Akamus has established itself as one of the pillars of Berlin‘s cultural scene, having had its own concert series at the Konzerthaus Berlin for more than 30 years and having collaborated with the Staatsoper Berlin on their Baroque repertoire since 1994. In addition, the ensemble has had its own concert series at Munich’s Prinzregententheater since 2012. With up to 100 performances annually, Akamus performs in a variety of formations from chamber music to symphonic repertoire. As well as working with guest conductors, the orchestra is often directed from the leader‘s chair by one of its three concert masters Bernhard Forck, Georg Kallweit or Stephan Mai. 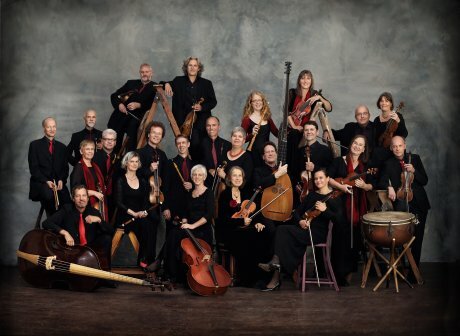 The ensemble has an especially close and enduring partnership with René Jacobs. Their mutual passion to explore new paths has led to the rediscovery and new interpretation of many operas and oratorios, to great international critical acclaim. Their recordings of Mozart’s «The Abduction from the Seraglio» and Bach’s «St. Matthew» and «St. John» Passions received numerous awards and their productions at the Theater an der Wien in Vienna have been praised highly by the international press.